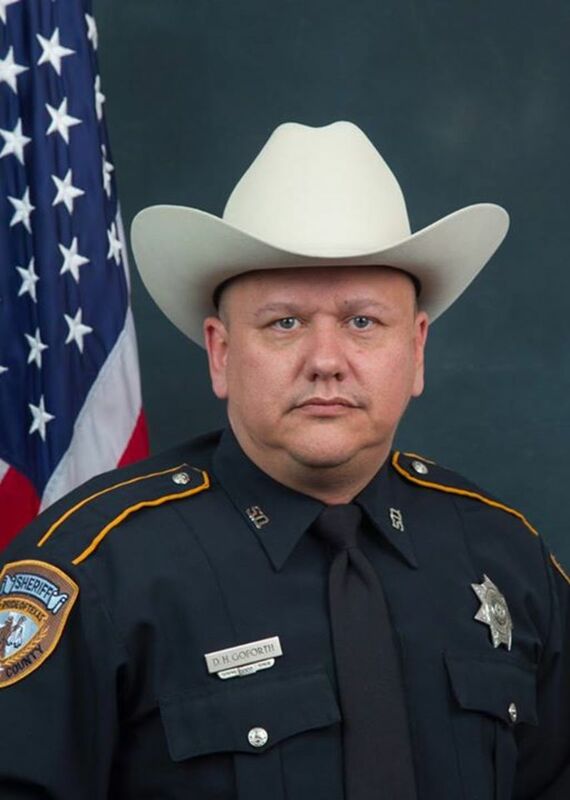 Darren Goforth, a white sheriff&apos;s deputy in Harris County, Texas, was shot and killed on August 28th at a Chevron station in Cypress, a suburb of Houston. 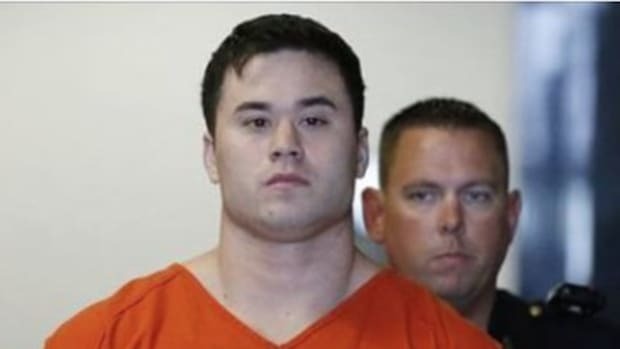 Goforth was reportedly shot from behind while pumping gas in what local law enforcement characterized to the Associated Press as an "ambush." There are, according to local police, two culprits in this brutal murder. One is Shannon Miles, a 30-year-old African-American man with a criminal record that includes resisting arrest and disorderly conduct. The other is the new civil rights movement that&apos;s been struggling to turn the tide of civilian deaths at the hands of police. "The general climate of that kind of rhetoric can be influential on people to do things like this. We&apos;re still searching to find out if that&apos;s actually a motive," Harris County Sheriff Ron Hickman told the Huffington Post. "We&apos;ve heard black lives matter, all lives matter. Well, cops&apos; lives matter, too. So how about we drop the qualifier and just say lives matter?" 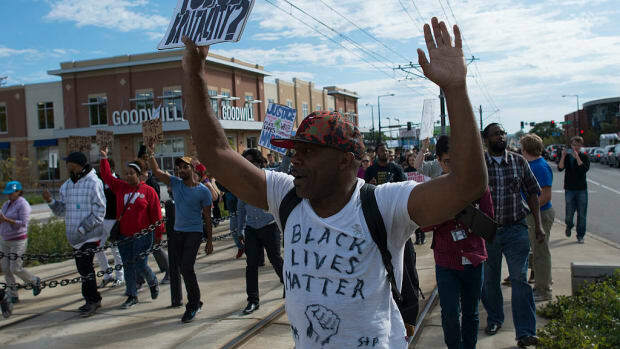 Hickman&apos;s anger is fodder for the enemies of police reform to attack a legitimate social movement on the grounds of addressing racial disparities in our justice system. It&apos;s easy to see Hickman&apos;s remarks as a mournful howl more than a vicious observation. But given that there is literally nothing linking Black Lives Matter to Goforth&apos;s death, Hickman&apos;s assessment can also be seen (even if inadvertently) as an attempt to de-legitimize the Black Lives Matter movement against the well-documented, very real racial disparities in the criminal justice system. 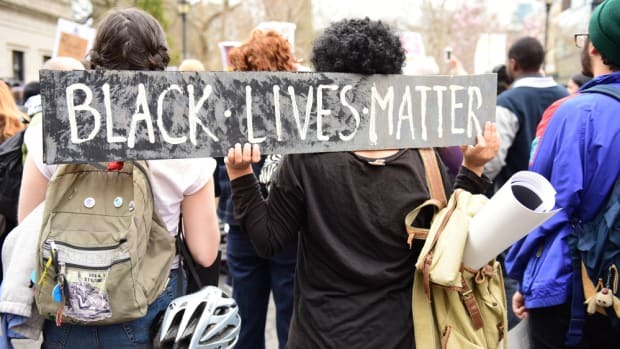 This isn&apos;t just confined to Hickman: The "War on Cops" response to Black Lives Matter has been bolstered by conservative news outlets like Fox News and the New York Post—and, in some cases, local police academies. 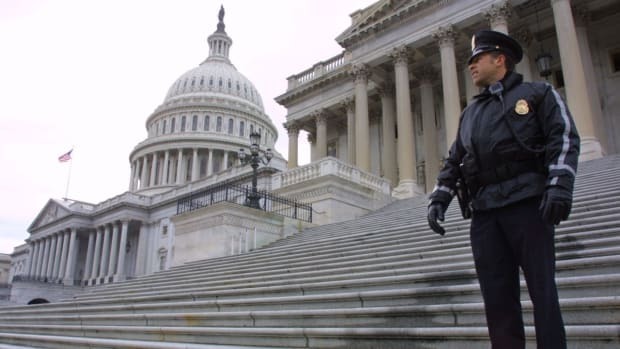 The culture of police brutality "is infrequently addressed, but what is continually mentioned is the notion that there is a War on Police," an Iraq War veteran in training to be a police officer confessed to the Daily Beast. "Some instructors blame the Obama administration, which has provided extra funding to police departments to hire Iraq War veterans such as myself. 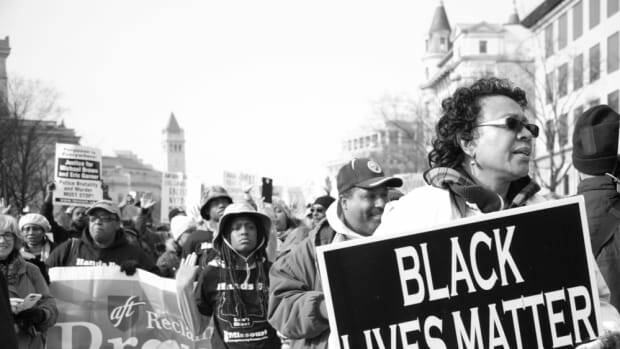 Others, citing news organizations and politicians, try to pin it on the Black Lives Matter movement." But there&apos;s a fundamental problem with this argument: It&apos;s not based in reality. Data shows that officer deaths are at a 40-year low. 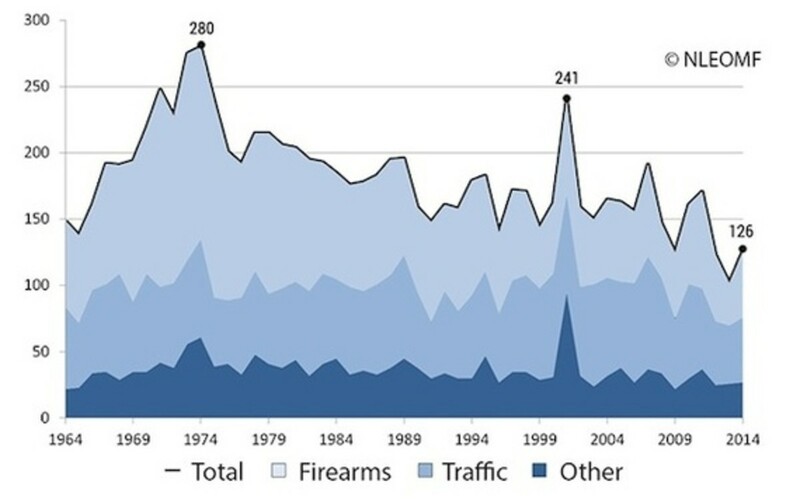 According to statistics compiled in 2014 by the National Law Enforcement Officers Memorial Fund, officer deaths have been on somewhat rocky decline since the early 1970s: 126 officers were killed in 2014, compared to 280 in 1974. FBI data on police officers "feloniously" killed jumped sharply from 27 officers in 2013 to to 51 in 2014, but that rate is still far below the average for officer deaths since 1980. So while the killings of New York Police Department officers Wenjian Liu and Rafael Ramos in Brooklyn certainly rounded out a particularly bloody year for law enforcement, officer deaths have still been on the decline for decades, right alongside the national crime rate. Let&apos;s compare that to deaths by civilians at the hands of police. A Washington Post analysis in July revealed that the number of people shot and killed by law enforcement "[exceeded] the figures reported by the FBI for any single year since 1976"; that&apos;s 500 people in the first six months of 2015, compared to the annual average of "around 400" that are reported as "justifiable homicides" by police. At the time of this writing, 808 people have been killed by police in the United States this year, per the Guardian&apos;s the Counted project. Worse yet, the FBI doesn&apos;t really keep track of how many civilians are killed by police; in reality, the total number of annual civilian deaths could be more than 1,000 people each year. 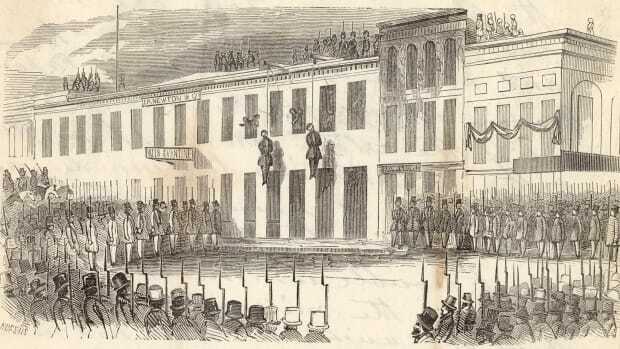 The intent of the campaign—evident in comments by politicians like Gov. Nikki Haley of South Carolina, Gov. Scott Walker of Wisconsin and Senator Rand Paul of Kentucky—is to cast the phrase &apos;Black Lives Matter&apos; as an inflammatory or even hateful anti-white expression that has no legitimate place in a civil rights campaign. But, despite rioting and destruction in Ferguson and Baltimore, Black Lives Matter has never advocated for the murder of police officers. That hasn&apos;t stopped local TV affiliates from hunting for groups of protesters chanting "kill a cop," even when there&apos;s evidence that the culprits are singular groups of anarchists looking to take advantage of otherwise (relatively) peaceful protests. It&apos;s the same unconscious logic that drives many Americans to dub rampaging white men "revelers," but call frustrated protesters "thugs" and "hoodlums." In an attempt to make sense out of this tragedy, Hickman has shown us exactly why Black Lives Matter exists in the first place.